Here are a couple of tips on how to print photos with HP ePrint. These are general tips to make it a little more easy to use HP ePrint. The first step in getting quality photo prints with HP ePrint is having 4″ x 6″ HP Photo Paper pre-loaded in your printer’s dedicated photo paper tray. 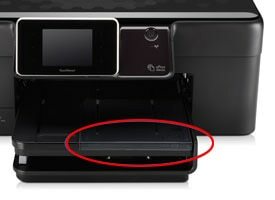 If your HP ePrint-enabled printer doesn’t have a separate photo paper tray, just make sure that photo paper is the only paper loaded in the tray when printing photos. All photos e-mailed with HP ePrint will print at a default size of 4″ x 6″. If available, your photos will automatically print on paper from your printer’s dedicated photo tray. If you don’t have photo paper loaded into your photo paper tray, this message will appear on the printer’s display: “Load paper into photo tray”. If you have 5″ x 7″ paper loaded into the tray, it will still print a 4″ x 6″ photo on the paper, leaving a white border along the top and the side. HP ePrint will ensure your image is printed with the correct orientation so your photo will not be cut off. 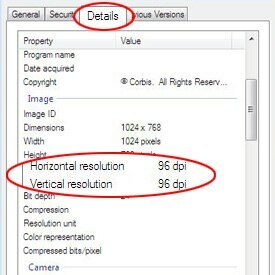 Check your image dpi: Right-click on your image on your PC’s desktop, then select Properties, and the Details tab. The second thing to remember when printing photos with HP ePrint is to make sure your digital images have a high enough resolution, or dpi (dots per inch). Image files (like jpeg, bmp, tiff, etc.) need to be at least 100 dpi in order to print via HP ePrint. If you send a photo that is less than 100 dpi, it will not be printed. Instead, you will see a message in your job history on the ePrintCenter that says “Failed”. To print a photo or image that is less than 100 dpi, insert the image file into a Word document before e-mailing. Your image will be printed on paper from the main printer paper tray. Image attachments must be less than 5MB (megabytes). Also, HP ePrint supports a maximum of 10 attachments to a single e-mail. E-mails that exceed these limits will not print. Be sure to find out how the megapixels affect the resolution and quality of your digital photos.